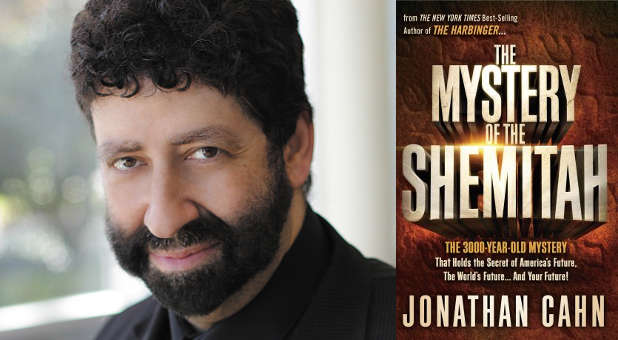 On September 2, Jonathan Cahn's third book, The Mystery of the Shemitah was released to book retailers and was already ranked very high at its debut just on pre-orders alone. As can be seen from the current rankings on Amazon.com, it is clear that The Mystery of the Shemitah needs to be carefully examined to determine if the errors in The Harbinger have been corrected or perpetuated in this new volume. I have already done five interviews concerning this book, two with Jimmy DeYoung at Prophecy Today (Dave James Reports), two with T.A. McMahon at The Berean Call (to be aired this week and next), and one sixty-minute interview with Susan Puzio, which can be heard here. The Mystery of the Shemitah , which went to its second printing the day it was released, builds on the concepts and theories Jonathan Cahn first presented in The Harbinger , particularly those in the chapter also titled "The Mystery of the Shemitah." The author's theory is that God has visited warnings and/or judgment against the United States according to a seven-year cycle going back many decades. Although this reviewer agrees that America is deserving of God's judgment and a call to repentance is definitely in order, the foundational premise of this book is biblically flawed from the outset. The Shemitah (Jewish Sabbath year) was an obligation given specifically and exclusively to the nation of Israel, and there is no biblical support whatsoever for the idea that God would either require any other nation to observe the Shemitah year or that He would impose a Shemitah-type judgment according to a seven-year cycle on any nation, including Israel itself. Furthermore, none of the overwhelming number of assertions and fact-claims throughout the book concerning economic trends, financial statistics and historical events are documented whatsoever, raising the question of the source of the author's information, the accuracy of that information, and why this most basic and necessary aspect of any research-based non-fiction book is completely missing. The burden of proof for such assertions and claims should never be on the reader if an author is to be taken seriously. In addition, the integrity of any publisher is rightly called into question when an author doesn't cite his sources.